The Cross of Christ is never described as a propitiation in the NT. At least not using hilas-. That’s the conclusion we’re going to come to at the end of this study. Just letting you know in advance – if you don’t want to come to that conclusion you might want to stop reading now. When we turn to the NT, there are only a handful of instances where the apostles use the hilas- word group. This scarcity should give us pause. If the term is so vital for understanding the Cross, as is often claimed, then it is strange that it is used so rarely. I would suggest that on the contrary these occurrences of hilas– are not intended to do the heavy lifting of our atonement theology. Rather they provide one metaphor among many in the apostolic vocabulary of atonement. Let’s take a look at the few occurrences there are in the NT. In Hebrews 9:5 hilasterion is the mercy seat, a piece of Levitical furniture. The other four occurrences refer more clearly to Jesus, and are of particular interest to us. In Hebrews 2:17 the high priest is chosen ‘to hilaskesthai the sins of the people.’ Here we have a sacrificial context, and no personal direct object for the verb. God is not acted on: the sins are. This is the typical Levitical usage (see previous post): no surprise in a letter like Hebrews! Cleansing is in view. 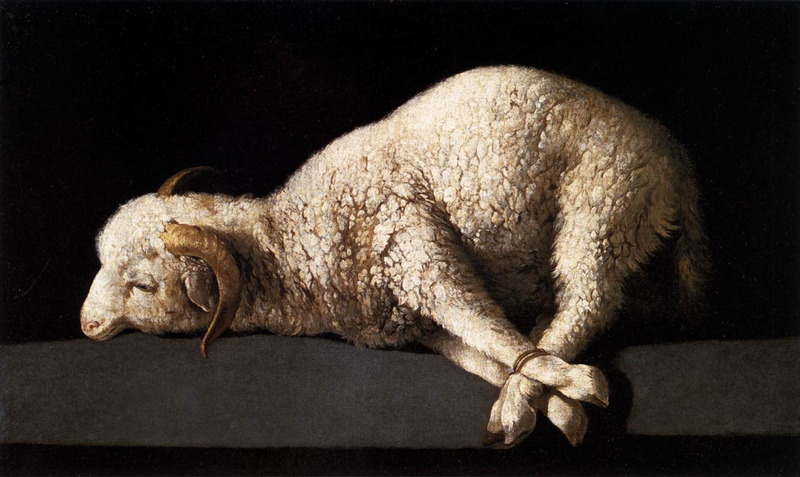 Here we have cleansing through blood sacrifice: a Levitical context. In keeping with this setting the hilasmos is directed not at God but at our sins: “He is the hilasmos concerning our sins.” An expiatory sense is indicated. The other occurrence in 1 John 4:10 is very similar. God is not pictured here as alienated and needing to be placated, but rather as overflowing with love and goodwill. In his goodness he provides us with a hilasmos, a sacrifice to put away sin. In both these instances John sees hilasmos as an ongoing reality: Jesus, post-resurrection, is now our cleansing. The last occurrence is Romans 3:25: “whom God set forth as a hilasterion through faith, by his blood…” This comes at a pivotal moment in Romans. This is the verse usually made to bear most weight in the case for the Cross as a propitiation. It is also extremely difficult to translate. Paul has compacted many concepts and images into a single sentence: this is not Paul at his clearest! It’s a pity to hang too much of your theology on such an opaque sentence. Let’s have a go at understanding it. This passage in Romans is absolutely dripping with OT references. We are deep in Scripture territory here: in the past four verses Paul has referenced the law of Moses (twice), the prophets and redemption – all classic OT themes. Now in v.25 he pictures God as setting forth a blood offering. The verb protitheimi is a standard term for making certain sorts of offering in the LXX Torah, especially the showbread. We are in a traditional Hebrew context here: try to imagine Paul speaking with a thick Jewish accent! The offering which God sets forth here is a blood offering. It is his Son, Christ, who is set forth as crucified. Paul invites us to consider Jesus’ death in the light of a Levitical offering or sacrifice. But Paul does not use the metaphor with strict precision. For one thing, protitheimi is not normally used of blood offerings. Also here God himself provides the offering. This is reminiscent of the story of Abraham and Isaac on Mt Moriah, where Yahweh provides the sacrifice in place of Isaac (Genesis 22). Paul adds one further word to complete his picture: God sets Christ forth as a hilasterion in blood. This word hilasterion is the word we are investigating. Some evangelical scholars tell us it should be translated ‘propitiation.’ But this is curious, because hilasterion never refers to propitiation in the LXX version of the OT. In secular Greek usage the word could be used to mean this. But it is hard to believe that in this hyper-Jewish context, Paul would go against the traditional Jewish meaning and import one from a foreign context. We would do better to exhaust all other options for interpretations before settling for such an unlikely solution. In Levitical usage this word always refers to the mercy seat, the cover over the ark which relates to atonement. It is the place where blood is sprinkled on the day of atonement, i.e. it is part of the sacrificial system. Given the sacrificial context Paul has created, we cannot help thinking of this mercy seat and day of atonement when he uses hilasterion here. Probably he is suggesting that we should understand what happened with Jesus’ blood in those terms: as a kind of day of atonement event. As we have seen (in the previous post), this Levitical imagery has little to do with propitiation and everything to do with cleansing. …whom God set forth to be our day-of-atonement offering, altar and mercy seat, through his blood shed for us at the cross. So how should we translate this term hilasterion in Romans 3:25? It doesn’t yield its meaning immediately, does it. But then, neither does Paul’s Greek version, so that’s ok by me. Really, there is no good translation of this difficult verse. Sorry. I think the NRSV and NIV do pretty well here, reading ‘as a sacrifice of atonement’. The Holman’s reading, ‘as a propitiation’, is without linguistic justification. We’ve done a pretty simple word-study of ‘hilas-‘ in Scripture, using some of the basic tools of lexical semantics: circles of context, fields of meaning, buddy words, semantic range (for more on these, see Post 3). All these tools were well understood by the 1960s when Morris was doing his work. They’re not hard to use. They protect us from committing a whole bunch of exegetical fallacies. In this case they have also yielded a clear result to our inquiries. In the four cases where the hilas- word-group is applied to Jesus, it is used in a Levitical context, and should be given the Levitical sense of ‘cleansing’. We have found no instances in the NT where hilas- is used to describe the Cross as a ‘propitiation.’ This is consistent with the NT view of the atonement, that ‘in Christ God was reconciling the world to himself” (2 Cor. 5:19). He does not need to be propitiated: he is the one doing the reconciling! It is us who need to change. Giving a nod back to the place we started from – the idea that propitiation-terms describing the cross are evidence for a Satisfaction Theory of the atonement – we can say, this is not true of the hilas- word-group.